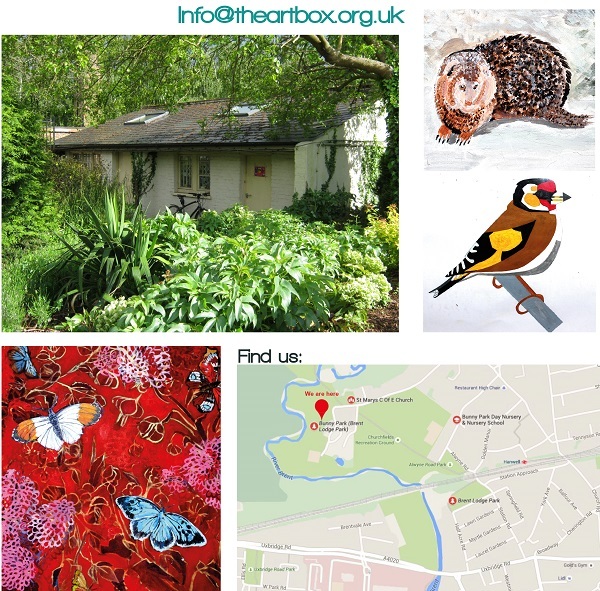 Brent Lodge Park Animal Centre and The Art Box warmly invite you to the 'Animals in Wonderland' community fundraising event taking place on Sunday 27th September. Come and get involved! There will be fun for all the family. 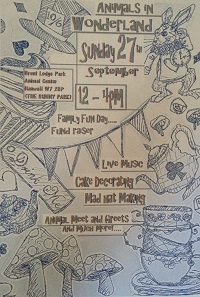 All the activities will take place in and around the Animal Centre at Brent Lodge Park (The Bunny Park) Hanwell W7 2BP. The fun starts at 12 o'clock, so don't be late for a very important date! Activities carry on until 4 pm. The cafe will be providing specially themed fare, the giant inflatable slides will be open, you can find your way around the amazing maze and of course the Animal Centre will run special tours. For more information or to get involved, whether you'd like a stall, to run an activity, to perform, or have thought of another way that you could get involved in this community day; don't hesitate to contact info@greenprospects.co.uk or via The Animal Centre Facebook page.